Anyone who grew up going to school in Arizona is familiar with the “five C’s” of the state’s economy: copper, cattle, cotton, citrus and climate. But maybe one day there will be an “M” on that list as well — for mobility. 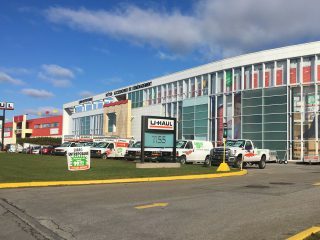 U-Haul, the industry leader in do-it-yourself moving and self-storage, just recently celebrated 50 years of being headquartered in Arizona. The Company marked its milestone anniversary by holding a reception at the capitol’s Wesley Bolin Plaza. 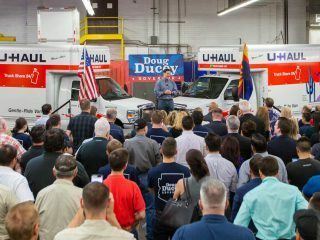 Lawmakers who attended the event surveyed equipment from the U-Haul fleet, many of the Company’s sustainability and safety initiatives, and visuals of the Company’s history, which dates to 1945 (and 1967 as a Phoenix-based operation). 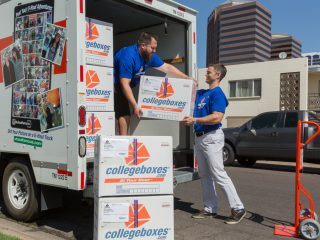 The state legislature also passed an official resolution declaring March 7 as “U-Haul Day” in Arizona. 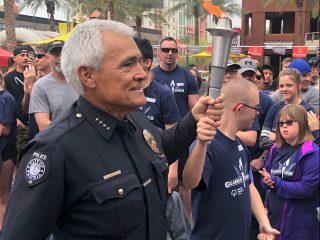 The resolution recognized the Company as a staple of the Arizona business community. While copper and climate will always be key components to the Arizona economy, Joe Cook, U-Haul Vice President of Government Relations, explains that providing the fundamental need of mobility should not be understated. David Bradley is one of those legislators who took notice. The state senator from southern Arizona noted that the Company is playing a key role both inside and outside Arizona. U-Haul also demonstrated to state legislators that it is comprised of more than just trucks and trailers. 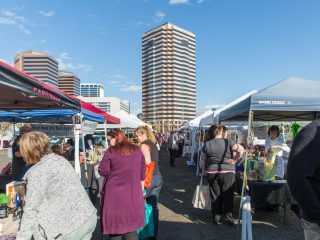 Other displays at Wesley Bolin Plaza included the Marco Garcia Trailer Demonstrator, wellness awards and environmental initiatives. 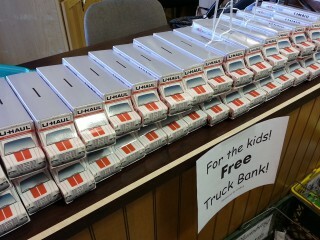 Rep. Travis Grantham gave the U-Haul MGTD, a great visual aid for teaching safe trailering practices, a try. Legislators and their staffs were invited to take the wheel of the MGTD. 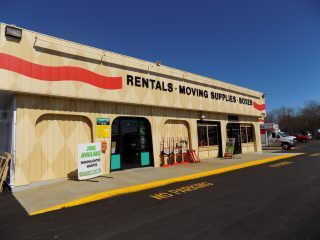 It is a tool the Company uses to educate people about safe trailering and the 60-40 proper loading rule, which also demonstrates that U-Haul is not just providing mobility, but safety education to all drivers. Rep. Travis Grantham from District 12 took the MGTD for a spin and found it to be a powerful teaching tool. 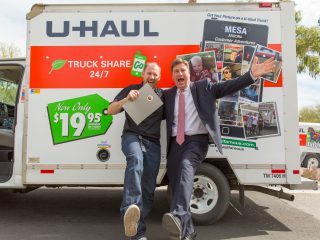 While celebrating the first 50 years of U-Haul calling Arizona home, both legislators and U-Haul Team Members looked toward the next 50 years. 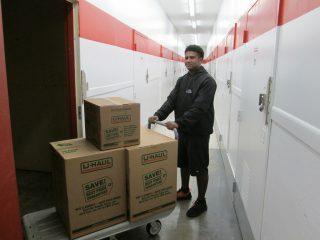 Finally, see photos from U-Haul Day below.